Mortlach holds the title as the first legal distillery in Dufftown, the now prominent whisky town in Scotland’s Speyside region. It was founded in 1823 on the site of a formerly illicit distillery and remained the only whisky producer in Dufftown until Glenfiddich came along in 1887. Glenfiddich founder, William Grant, gained much of his experience working at Mortlach for over 20 years prior to making his own start. In 1923 the Mortlach distillery was acquired by John Walker & Sons and they began using the majority of production for their blends. Mortlach continues to supply much of their spirit for use in Johnnie Walker products, official single malt releases constitute only a small part of their operations. 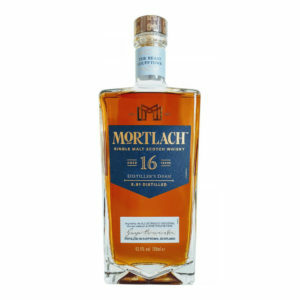 When Mortlach started, their output was limited to just 50 gallons per week with the distilled spirits being sold off to Scotland’s wealthy class in 10 gallon casks. As the small operation grew, the distillery ownership changed hands numerous times until it came under the oversight of George Cowie in 1867. 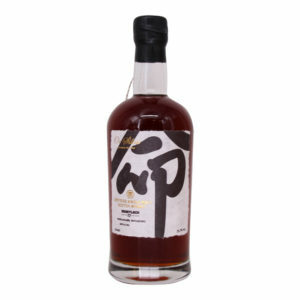 Cowie was mesmerized by the global appeal that the whisky had garnered with such a small scale operation. Whisky was being sent to America, India, China and Australia at a time when exports of Scotch whisky were quite limited. Under the Cowie family, the distillery would expand rapidly with a direct railway link, the 2.81 distillation process and one of the first producers to have electricity. All of the effort gained the attention of John Walker & Sons who decided to make Mortlach a major element of their blended whiskies. 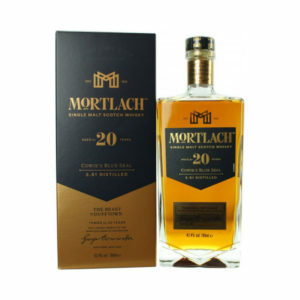 This dependence led to their desire for vertical integration and as such acquired Mortlach in 1923. 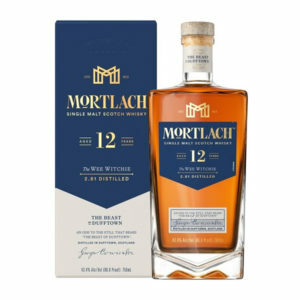 Today Mortlach is owned by Diageo, the parent company of John Walker & Sons and they are still producing top quality whisky.